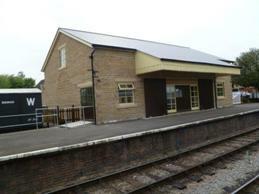 We will again be splitting the beer sales between Winchcombe and Toddington Stations. For the second time, we will also open at Winchcombe station only on Friday, in addition to the normal opening at both stations on Saturday and Sunday. Friday 10th August at Winchcombe only: Noon to 4 pm. Trains will be running. 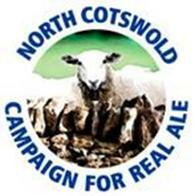 Saturday 11th August at Winchcombe & Toddington: 10:30 am until 7 pm at Winchcombe. 5:45 pm at Toddington. The Beers at Toddington will have a Cambridgeshire theme. Camping is available. See below right for details. A ticket for travel, or a platform ticket (£2 at Winchcombe, £1 at Toddington) on the day is required for entry to the event. You will then need to buy a “normal” souvenir glass for an additional £2, or a special half pint glass with handle for £3. If you return your glass a refund of £1 or £2 will be given (The other £1 goes towards washing the glass etc before it can be re-used), You will also need to purchase Beer Token Card(s) at £10 each. (No cash sales at the bar). You only need to buy a bar package once, which you can use at either bar. Extra token cards can be purchased as required. 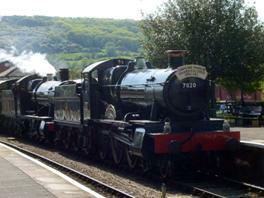 This is the first Summer Ale & Steam weekend with the railway extended to Broadway. Presently parking near the station at Broadway is not available, but there are car parks in the town. Please select this link for details. 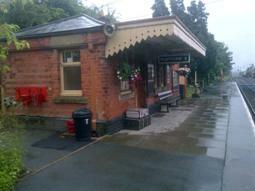 There are no present plans to have a bar at Broadway Station at any Ale & Steam event. The attendance at this event may be another record due to extra rail traffic as a result of the Broadway opening, so please come early if you can. If you would like to help at this event, please click here for a helpers form. Please print this, fill it in by hand, and scan it. 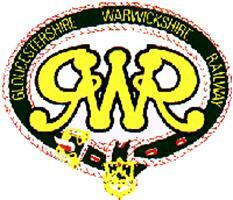 Then please forward the completed scanned form as an attachment to our Webmaster Peter Rowe. These will then be passed on to our Festivals Director. Our Festivals Director will be Alan McLellan, who took over this role before the recent Spring Ale & Steam Weekend in May. His contact details will be published here shortly. The camp site is at Manor Farm, Market Lane, Greet. GL54 5BJ. Tents are £6 per person per night. Campervans and caravans are £16 per night to include use of one of 4 available electricity points. When you arrive, please contact Mr or Mrs Day at Manor Farm.